Where? Lone Oak First Baptist Church MPR. We have 25 Nerf guns available for students to use as well as over 200 Nerf darts. 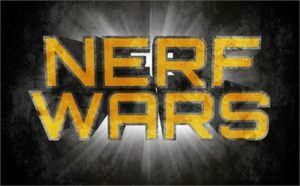 Students are allowed and encouraged to bring their own NERF gear. Posted in Uncategorized on May 26, 2017 by Joe Yarbrough. Our recent 8th grade graduates are invited to go on an exciting weekend trip this summer, July 14-15! We will go aboard the new Ark Encounter, a 510-foot-long full-size biblical replica of Noah’s Ark. 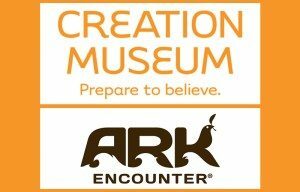 We will also be going to explore the Creation Museum. Both of these museums will be exciting and sure to grow you in your faith as you get ready to head off to high school. We will have a ton of fun too! You will not want to miss this trip! For more information or questions about this trip please email jyarbrough@loneoakfbc.org. Posted in Amplify, Events, Parents, Uncategorized on May 24, 2017 by Joe Yarbrough. 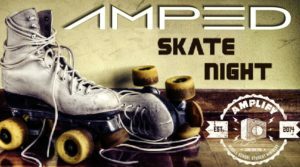 “AMPED” is an event designed for our middle school students to invite a friend who does not attend church anywhere. We will have free pizza, drinks, snacks, skates and fun games! The small group who brings the most guests will win gift certificates to our Youth Lounge to redeem for free pizza and a drink! Make sure you bring some socks! Posted in Uncategorized on February 17, 2017 by Joe Yarbrough. 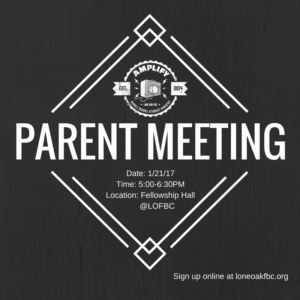 All parents of middle school students are invited to attend a parents meeting on Saturday, January 21st from 5:00PM-6:30PM in the fellowship hall at LOFBC. We will be discussing all events for 2017, including our Chicago mission trip. Jamie Coomer, our minister of discipleship and families will be discussing our new D6 Family Curriculum and how you can best utilize it to have spiritual conversations in the home with your students. In addition, we will be discussing some practical tips in regards to teens and cell phones. Food will be provided as well as giveaways! Sign up online now and be registered to win an awesome prize! Posted in Amplify on January 13, 2017 by Joe Yarbrough. 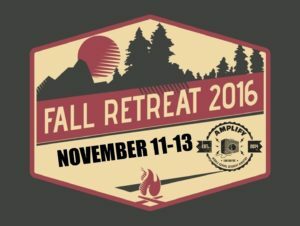 We have 34 students registered for our second annual Middle School fall retreat! If you have not done so we need every student to complete an online participation from Crossings. 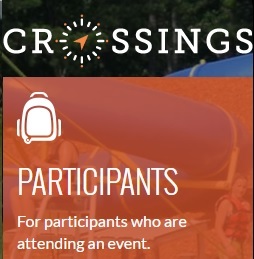 If you have participated at an event at Crossings before you can log in with your previous account. Click Here to complete the participation form. Check in starts at 5:30PM this Friday night in the MPR. Bring all of your belongings with you and place them in the designated area in the MPR. All students are encouraged to bring their favorite drink and/or snack to share with their group for the weekend. Students must bring something to sleep on example:sleeping bag, air mattress, cot, etc. As well as a pillow and a blanket. Bring a change of clothes for Saturday and Sunday. Bring toiletries and a towel. If you have any questions please contact the church office at 270-554-1441 and ask for Heather Rudy or Joe Yarbrough. Posted in Amplify, Parents on November 9, 2016 by Joe Yarbrough. What? Our fall retreat for middle school students will take place primarily in Paducah. Our students will be spending the night in host homes (of church members) with their small groups. On Saturday we will spend the majority of the day at Jonathan Creek where we will play laser tag, participate in team building exercises and competitions, eat lunch, have devotional times, and small group bible study lessons. 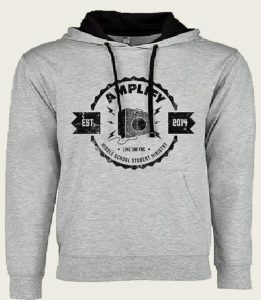 Every student who comes to the Fall Retreat will get an Amplify Middle School Ministry Hoodie! You will not want to miss this awesome weekend. Make sure you register as soon as possible. Posted in Amplify, Events, Parents, Uncategorized on October 25, 2016 by Joe Yarbrough. Amplify Middle School students, you will not want to miss out on this awesome night! AMPED is an event we do twice a year. The whole idea is to invite a friend who doesnt go to church, to come to our church for a night of fun! 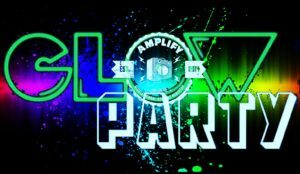 This AMPED night will be a GLOW PARTY! We will have glow in the dark 9 square, basketball, kickball, bowling, and much more! Make sure you invite a friend who doesnt go to church anywhere. The group with the most friends brought will win an awesome prize! Dont miss it, this Saturday 7-9PM!!! Posted in Uncategorized on October 11, 2016 by Joe Yarbrough. 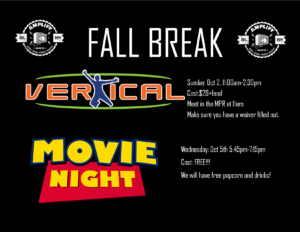 Vertical Jump Park: Sunday Oct 2nd 11am-2:30pm. Students will go to Sunday School/Worship from 8:30am-9:45am and meet in the MPR at 11am. Posted in Uncategorized on September 28, 2016 by Joe Yarbrough. 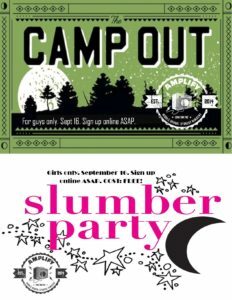 Sign up online now at loneoakfbc.org for our first ever Guys Campout and Girls Slumber party coming up September 16, 2016! The cost is absolutely FREE! Just be sure you sign up in order to ensure you are able to attend this awesome night of fellowship. change of clothes – swimsuit as we may go swimming in a lake. something comfortable to sleep on – we will be spending the night outside in a tent! You at the very least will need a pillow and a blanket. Food: We will have dinner Friday night, breakfast, and lunch on Saturday. What? We are going to have a fun night camping outside enjoying God’s creation. We will play some games, sing some songs, eat yummy camping food and have several times of Bible study! Where? We will be camping at our Pastor of Families and Discipleship, Jamie Coomer’s house. NOTE: cell phones will stay in sleeping room! Time: check in at the church at 6:00PM. Parent pick up is Saturday at 12:00PM. Where: Lone Oak First Baptist Church. Food: Dinner on Friday night and breakfast on Saturday morning will be provided. Posted in Uncategorized on September 6, 2016 by Joe Yarbrough. For new 6th grade parents and students. Wednesday, August 3rd. Drop in anytime from 6:00-7:00PM. 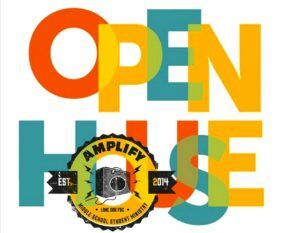 Free Amplify t-shirts for students while supplies last! Meet in the new Youth Worship room in the D-Building. Posted in Uncategorized on July 28, 2016 by Joe Yarbrough.